In mathematics as in music, a stochastic process involves at least one random variable. And much like mathematicians produce probabilistic models to evaluate random fields of action, Jean-Pierre Gauthier creates systems that bring us closer to living things, like birdsong. The artist salvages, manipulates, and mechanizes everyday objects to extract their acoustic potential, resulting in kinetic sculptures that often take the form of poetic and playful installations. 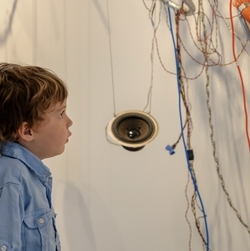 The exhibition The Stochastic Generators brings together works created between 2010 and 2018, and highlights the dualities that run through Gauthier’s artistic and musical practices: order and chaos, composition and decomposition, control and surrender, systems and randomness, organic and inorganic. These stochastic generators are like oxymorons: can chance be reproduced? Can contingencies be arranged? Although a roll of the dice will never abolish chance, as Mallarmé once wrote, Gauthier approaches it through play. His installations are primarily activated by human presence. Whether voluntary or not, tactile or kinetic, the viewer’s actions trigger a series of mechanical and electrical operations that give life to the work. A wheel or knob activates a piezoelectric emitter inside a clarinet. A motion sensor attached to an air compressor animates a thoracic toolkit. 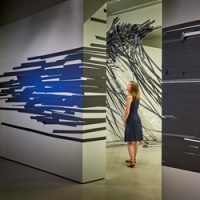 Created specifically for the Museum’s passageways, Stochastic Generator is a polyphonic installation that multiplies each interaction, random act, and (un)controlled action. Much like generative music, it rejects the invariability and hierarchy of sounds, the predictability and determination of musical arrangements. The stochastic music box features an interactive game-of-chance console. 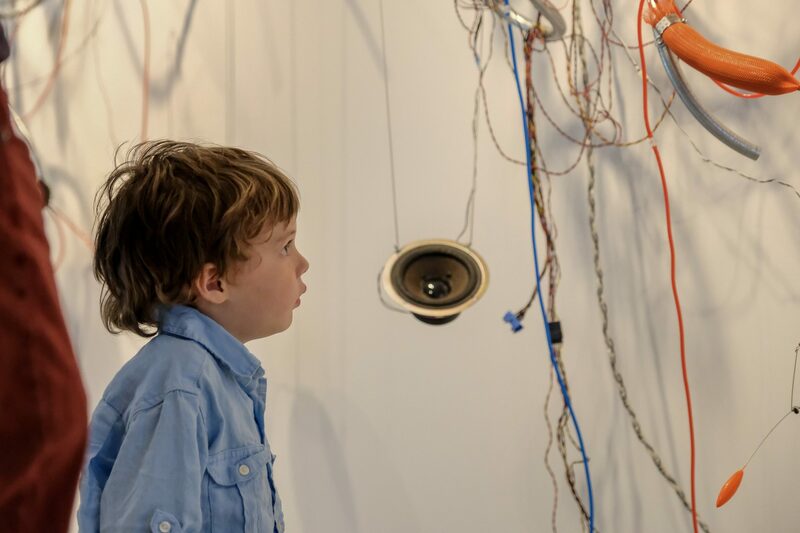 As they are created, the tones are modulated by a digital audio program, controllers and kinetic sensors are activated, and sound waves drift, overlap and intertwine in an acousmonium, or orchestra, of tubes. 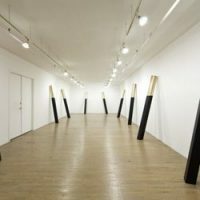 As they become increasingly abstracted from their source, they infiltrate the areas where visitors, air currents, mechanics, and probabilities circulate. The Stochastic Generators is a two-part exhibition. The installation Clacophone will be presented at the Festival de Lanaudière, from July 7 to August 5, 2018. Music lovers are invited to create an evolving composition based on the sound of their applause, recorded in a custom-built booth. The composition will be broadcast at the entrance to the Festival site. The artist would like to thank the Canada Council for the Arts for their support in the realization of this project. Interview with Jean-Pierre Gauthier about his Stochastic Generator exposed at the Musée d’art de Joliette. © Jean-Pierre Gauthier, ongoing exhibition The Stochastic Generators, Musée d’art de Joliette, 2018. Through his use of visual, audio and kinetic devices, Jean-Pierre Gauthier takes a wry and poetic look at the expected predictability of the various systems he builds. Gauthier also creates sound performances with invented instruments. 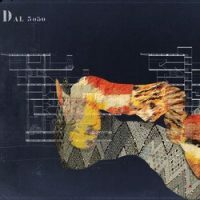 His work has been exhibited in North and South America, Europe and Asia. 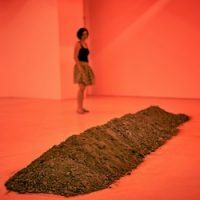 He is a key figure in Canadian media arts and the winner of numerous awards, including the Sobey Art Award (2004), the Victor-Martyn-Lynch-Staunton Award (2006) and the Prix Louis-Comtois (2012). The artist is represented by Ellephant in Montreal.